Continuous learning and development are essential for professional success. 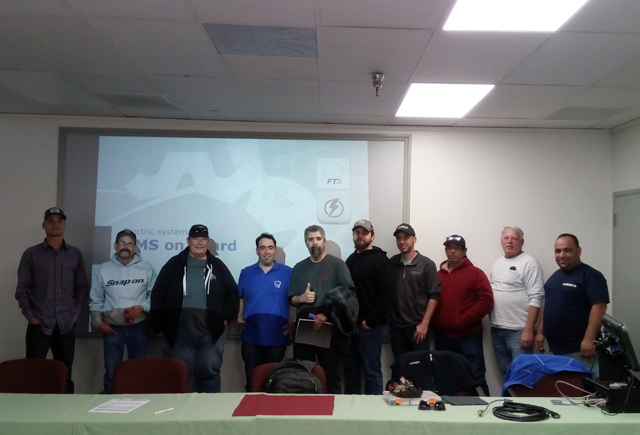 We congratulate Champion Equipment on setting up a fruitful training for Soilmec customers in Los Angeles: AVAR Construction, Hark Drilling, Shoring Engineers and Torrent Resources. The FTA open course on drilling equipment mechanics covered a variety of subjects, teaching students how to diagnose, maintain and repair Soilmec rigs to reduce downtime and increase productivity. The training included safety guidelines, hydraulic and electric systems overview, fluid mechanics, troubleshooting fundamentals and CAN bus protocol. It also examined the key capabilities and benefits of Soilmec DMS system, as well as common measurement tools used to monitor and adjust equipment. Hands-on sessions on Soilmec SR-30 allowed to learn the correct procedures for realizing on-board diagnostic problems in today's smart equipment, using computer-aided systems and tools for data retrieval and analysis. This is especially important in building good knowledge base and mastering industry technical skills. We thank our customers and partners for supporting and fostering professional growth in ground engineering.